Thu., July 26, 2018, 10:34 a.m.
NAMPA – A 75-pound tortoise named Twister who went missing from a reptile rescue facility in southwestern Idaho has returned. 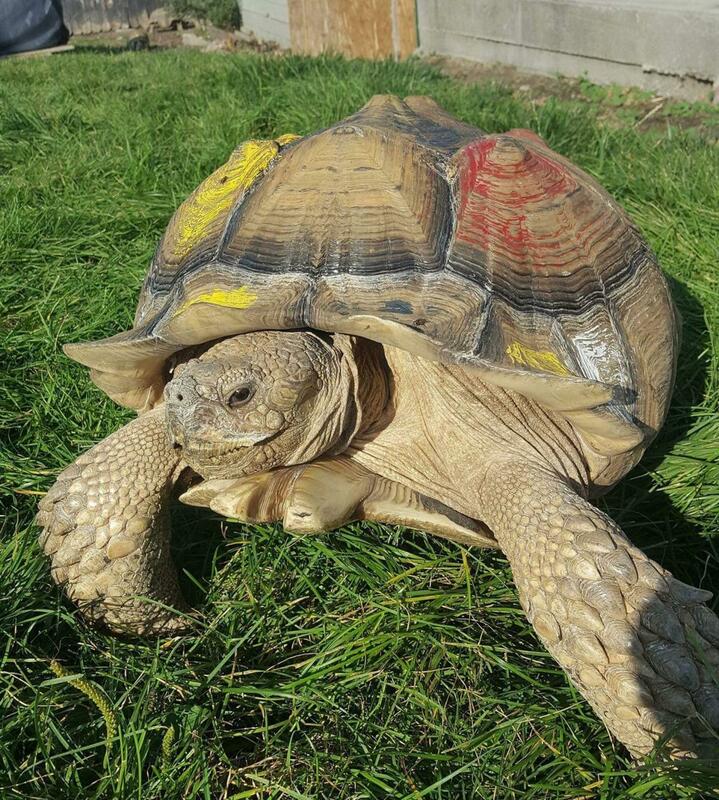 Employees with Reptile Adventures in Nampa tell KBOI-TV that Twister showed up in a yard on Wednesday after disappearing from the same yard on Monday. Employees say they suspect someone removed Twister from the yard and then brought him back. The employees say there’s no evidence Twister broke out. Employees say the tortoise appears to be healthy and doing well. Twister has been at the facility for about a year and had his shell painted white, blue, yellow and red by previous owners before being surrendered. Twister has been used at the rescue facility to teach people how to properly care for tortoises. Published: July 26, 2018, 10:34 a.m.